From the vaults of Actipedia this week we’re looking at a subtle way of subverting your local store to do your messaging for you! When Hobby Lobby, the US craft store, filed a lawsuit against a federal mandate requiring employers to provide insurance coverage for contraceptives Jasmine Shea and Nathaniel Peck decided to take action. 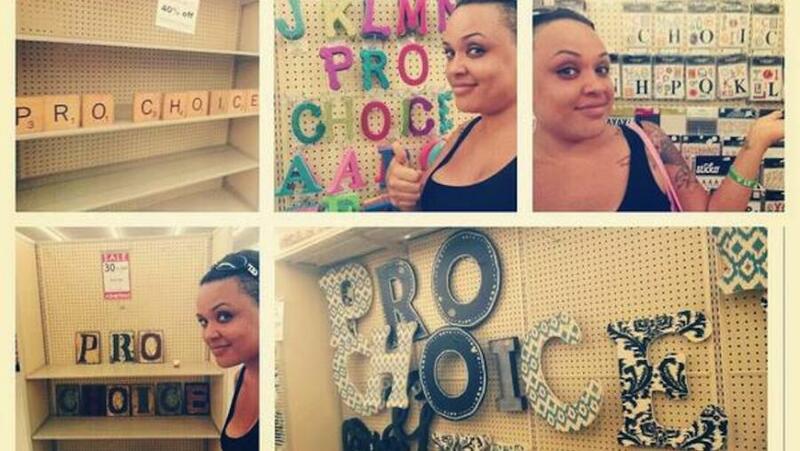 The pair then rearranged various alphabetical crafting supplies to spell out “PRO CHOICE” alll over the store. So simple, and fun for all ages! Why not put a little extra activism in your day and get creative with craft store trolling?